Global Conference is just a few days away. Here's how to experience it. 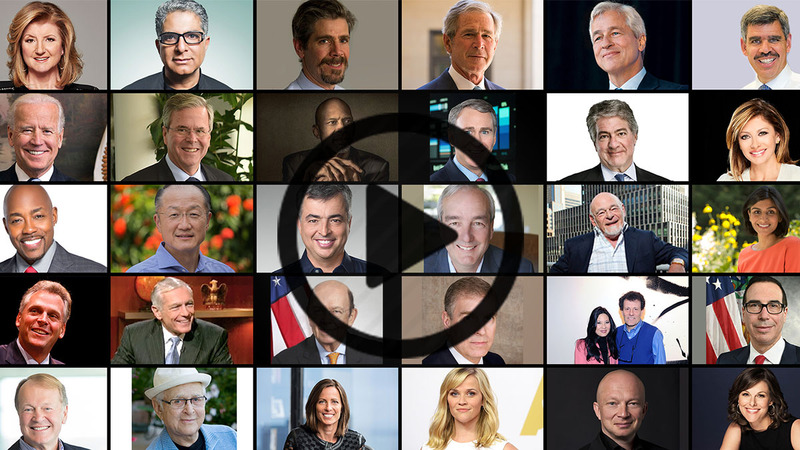 Each spring, top executives, government officials and thought leaders from every field convene at the Milken Institute Global Conference to tackle some of the world's most complex problems. This year, we're celebrating the 20th annual Global Conference by focusing on the powerful theme of "Building Meaningful Lives" in the 21st century. If you're not able to join us in person this year, you can still gain insights into the timely topics that will be center stage by joining the #MIGlobal conversation across our social media platforms. Follow us on Facebook, LinkedIn, and Twitter to stay up to date. A select number of panels will be livestreamed throughout the Conference, starting with "A Conversation with Steven Mnuchin, Secretary, U.S. Department of the Treasury," on Monday, May 1, at 7:45 a.m. (PST). Each year, the Institute invites brilliant minds and people who have changed the world to contribute to a collection of essays titled The Power of Ideas. This year, the theme of the publication, like the Conference itself, is "Building Meaningful Lives." The Milken Institute Global Conference on LinkedIn series will be premiering Sunday, April 30. For the series, we asked Global Conference speakers to answer: How does one build a meaningful life in the age of technological disruption? We'll be adding new articles daily throughout the Conference. Join the conversation on Twitter, and find live tweeting of the insights and ideas taking shape at Global Conference.